A large crowd milled around waiting for their turn at the Instant Cash for Phones EcoATM machine at Stonewood Center. 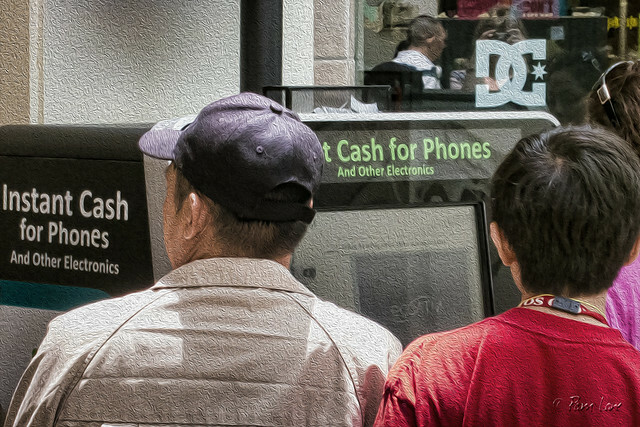 You can trade in your old phones (and other electronics) for cash—the amount of which is determined by the machine. Even if it's not much cash, this sounds like a better idea than having old phones pile up at home. I'll have to try this out. How about you?